Tshering Cigay Dorji has a Masters and Ph.D in computer engineering (informatics) from the University of Tokushima, Japan, plus Master of Management from the University of Canberra, Australia, and over 14 years’ combined experience in programming, teaching, information system design, database administration, research and senior level management in the corporate sector. His first degree was B.E. Electrical Engineering (First Class Honours) from the University of Wollongong, Australia, awarded in December 1999. 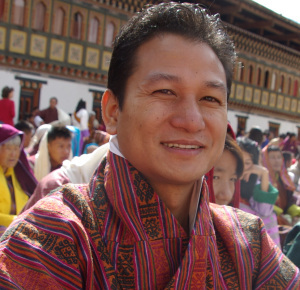 Currently, he heads Thimphu TechPark Ltd. as the Chief Executive Officer. Until the end of 2014, he was the Chief Operating Officer of the same company where he has been responsible for relationship management, operations and project management and execution, strategic management, costing, financial and people responsibilities, and communications and mentoring. Thimphu TechPark is the first IT Park in Bhutan built on a Public Private Partnership (PPP) model with support from the World Bank. He has previously worked with Bhutan Telecom for several years as system and database administrator, research engineer and head of Billing & International Affairs during which he gained valuable experience in project management, business development and people management.